The USS Enterprise NCC-1701-E was a state-of the-art Sovereign class vessel that entered service in 2372 and was the third ship to be commanded by Jean-Luc Picard. 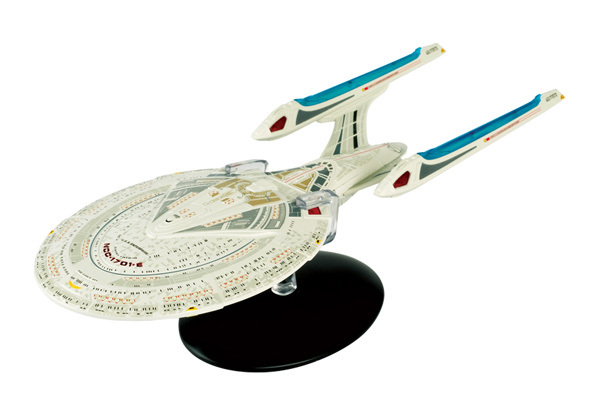 This oversized model of the starship Enterprise measures 10.5 inches long and is just as incredible as the ship from the show. The model itself is hand-painted with intricate detail, made from die-cast metal, and comes with a display stand. Comes with an exclusive collector’s magazine that provides an in-depth profile of the ship, with detailed annotations, and a breakdown of the technology on board, its crew and weapons.